Resume FAQs for Fresher Resumes you always had! Home Resume Tips Resume FAQs for Fresher Resumes you always had! Confused over the file format of your resume or what to write in skills section? Find answers to all your frequently asked questions about Fresher resumes. A resume is one of the most daunting tasks of the job preparation process. It’s the first time in your life that you realise how complicated a career can be! While you have the answers it is difficult to get started and put all the information together properly. Once in a while, you will have basic questions which you need answers to but you are afraid they sound too simple and hence you never ask them! What should be the file format for your resume? File format is the way you save your resume file. PDF, Word Document, JPEG are common formats that are used to share resumes. Sometimes the company specifically asks for a particular format like a PDF or Word. Nowadays, companies use recruitment software where you have to copy and paste the information or submit it only in Word File so that it can read the information. However, one of the safest ways to send a resume is in PDF as no one can tamper with the information in the resume. What to do when the job asks for experience? Fresher jobs do not ask for work experience however if the job ad states work experience compulsory then the best option is to not apply at all. Or you can attach a cover letter stating why they should hire although you do not have work experience. Under no circumstances, should you provide false work experience on your fresher resume. Companies do background checks and can even blacklist you if found manipulating information. What is the difference between CV, Curriculum Vitae and Resume? CV is the Curriculum Vitae and it is an in-depth document about the profile of a candidate covering details of education, work experience, accomplishment and awards. It remains constant, unlike a resume which is changed according to the job requirement. It is a shortened version of the career of the candidate. Abroad, the CV and resume are treated differently however in India the terms are used interchangeably. What should you write as a Career Goal or Career Objective in your resume? Most old CV and Resume formats have the section for a career goal and objective. These goals and objectives are pretty standard and state that you wish to learn and contribute to the company. Of course, you intend to do all those things! Most new resume formats do not have a career objective as it is redundant. Remove the section altogether, else if you wish to keep it, personalise it to the job role you are applying to. 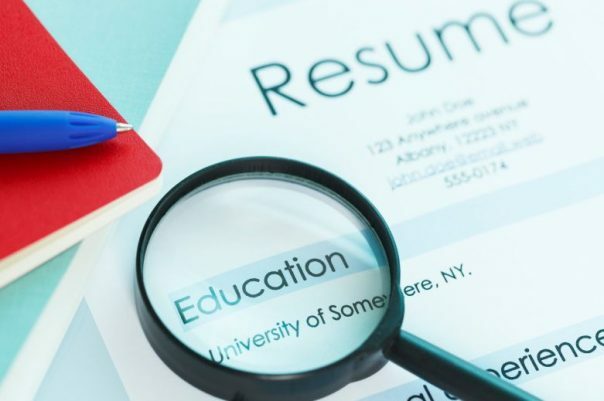 What resume format should you use for fresher jobs? The resume format is an important aspect of the resume. The resume should be one page long and especially so for fresher jobs. The HR needs to looks at it at a glance and be able to evaluate your profile. This is because a recruiter gives hardly a minute to each viewing each resume! Make sure the resume format is clean and error free. Take some tips from here. What should you write in Skills in resume? Sample resumes often have all the categories and sections that are expected in a resume. However, as a fresher, you will not fulfil or have information for all the sections. Job Skills are one such category where you need to write a convincing answer. Do not write obvious skills like ‘Microsoft Word’ or ‘Basic Computer Skills’. In today’s tech-savvy world these are the basic minimum skills that are expected. Ensure the skills you write are backed by certifications or experience. So even if you write ‘Leadership Skills’ be ready with an answer to satisfy the interviewer. What should you write in Hobby or Extracurricular activity in your resume? hobby. Don’t write hobbies which sound fancy just for the sake of it! Try to write unique hobbies or at least prepare yourself to be updated with the latest happenings related to your hobby. If you write the AMCAT do you still need a resume? The AMCAT Test is an employability test that measures your skills in specific areas like logical reasoning, communication skills, quantitative skills and job specific domain skills. While the companies will shortlist you, you still need to be prepared with your resume. Every company asks for your resume along with the AMCAT score. Hope these FAQs have been helpful! If you have any more such questions that you need answers to, please write in your questions in the comments below and we will answer them!